Baldwin’s security door guard allows the door to be opened up to four inches while maintaining security. 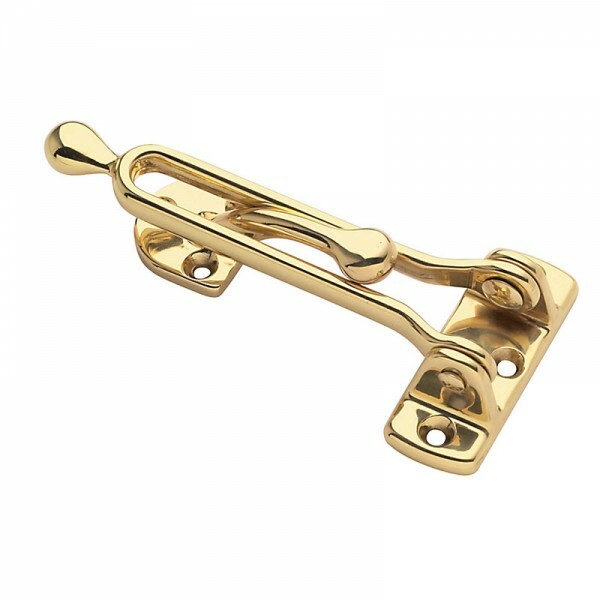 This solid brass security door guard hinges onto a strike mounted on the door, eliminating scratching Normally caused by conventional chain door fasteners. 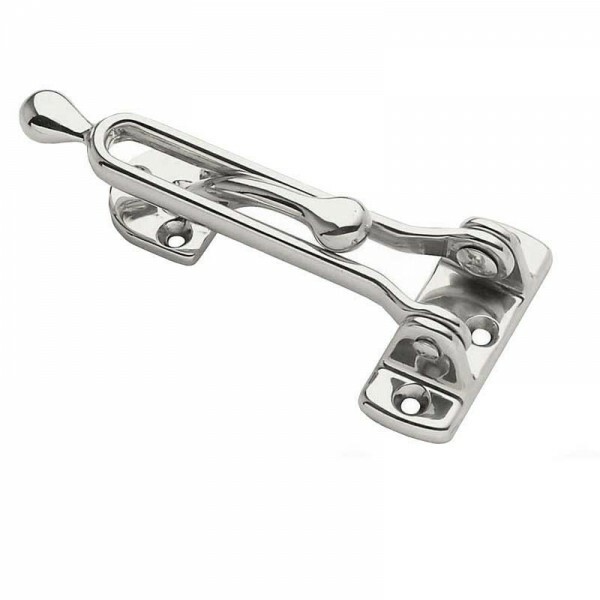 When not in use, the hinged door guard is positioned 180º away from the door.